from 750 USD / sq.m. 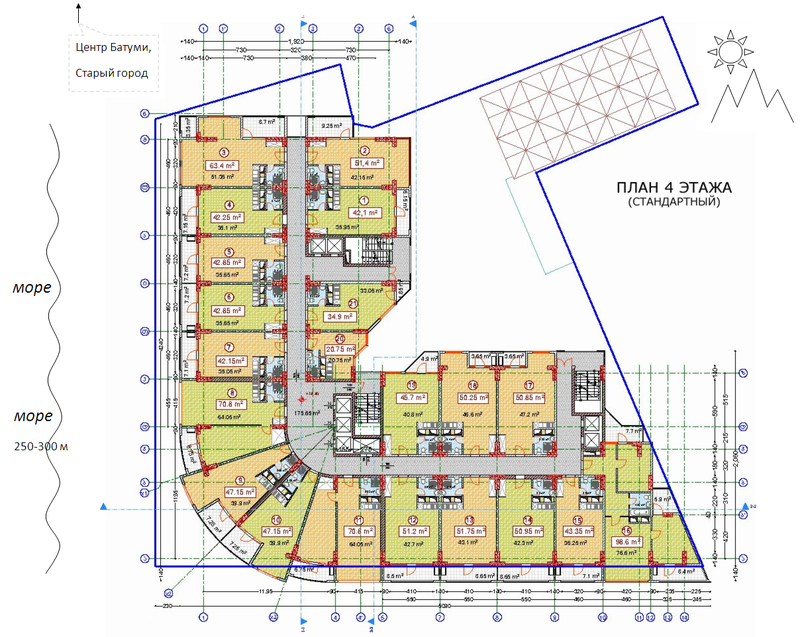 Flats in the elite house of YALСIN Star Residence located in Batumi on the Pirosmani St. This 36-storeyed house, it includes 650 European standard apartments of different spaces. The first three floors are for offices and commercial purpose, there are indoor and outdoor parking places. Infrastructure: shopping center, supermarket, a small movie theater with 100 seats, a cafe, a restaurant, beauty salon, banking facilities, child care, indoor and outdoor swimming pools, indoor and outdoor parking for 180 cars. Services are located on the first three floors. Squaring of apartments - 21-94 sq.m. Conditions at the moment of sale - white frame. Cost of 1 sq.m 750-1000$ . Avaliable flats from 28 floor. Forms of payment: Interest-free installment for 12 months. The first installment is 50%.